A1WebStats sends you emails containing information related to your website visitors. 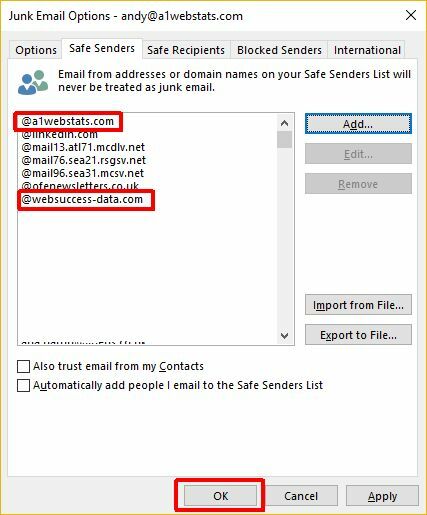 Those emails may be standard daily emails or they may be bespoke reports/emails that you create. 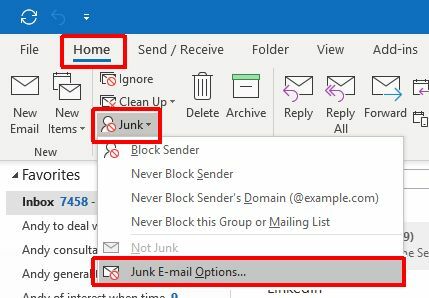 Email systems do their job well when they remove what they perceive to be irrelevant emails (e.g. moving them to junk). 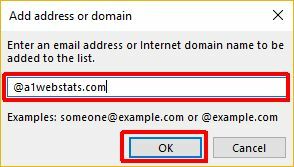 To ensure that you receive emails from the A1WebStats system, you will need to whitelist our domains. The most common email systems we see are Outlook and Gmail. If your email system is different to those, please do see the information at the bottom of this page. Then click on OK to ensure your settings are kept. You should then always receive emails from A1WebStats, without them going to junk. 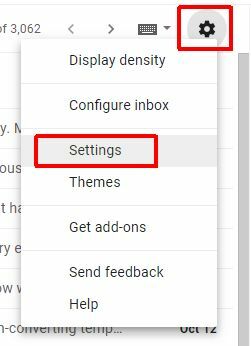 Within Gmail click on the Gear icon and then choose Settings from the list. 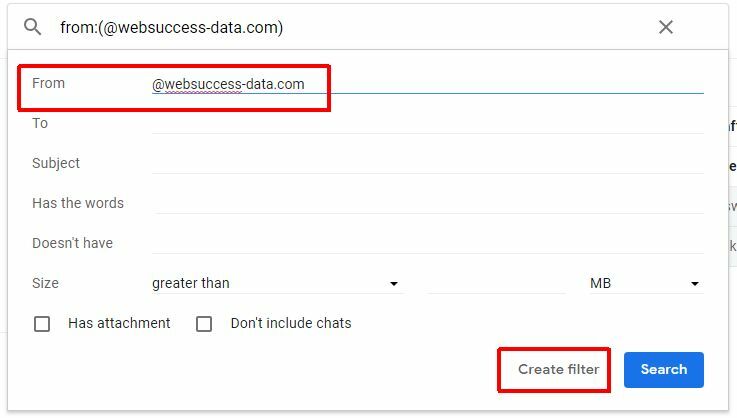 For each domain that you enter you will have a pop up that asks you what to do with messages from that domain. 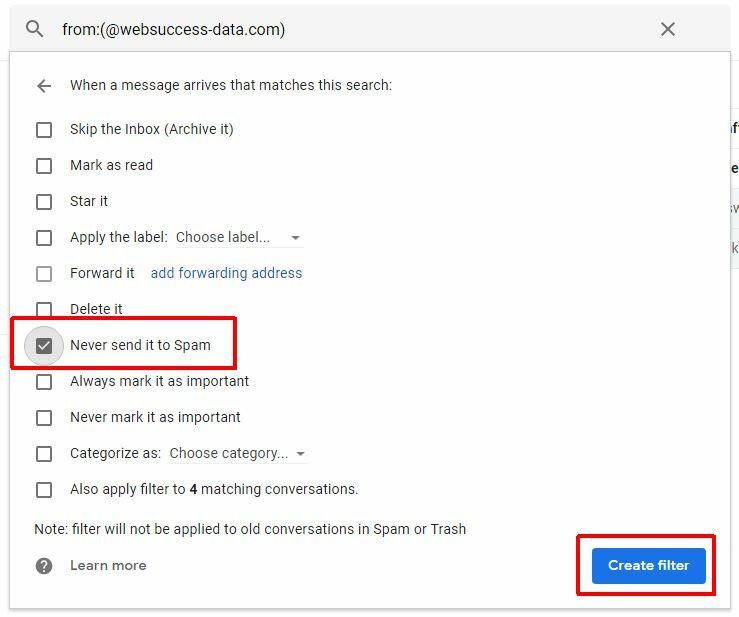 You need to tick ‘Never send it to Spam’ and then click on ‘Create Filter’. You should then always receive emails from A1WebStats. Is your email system not covered here? Please do contact us so that we can support you and update this page with information that will help other people using your email system.